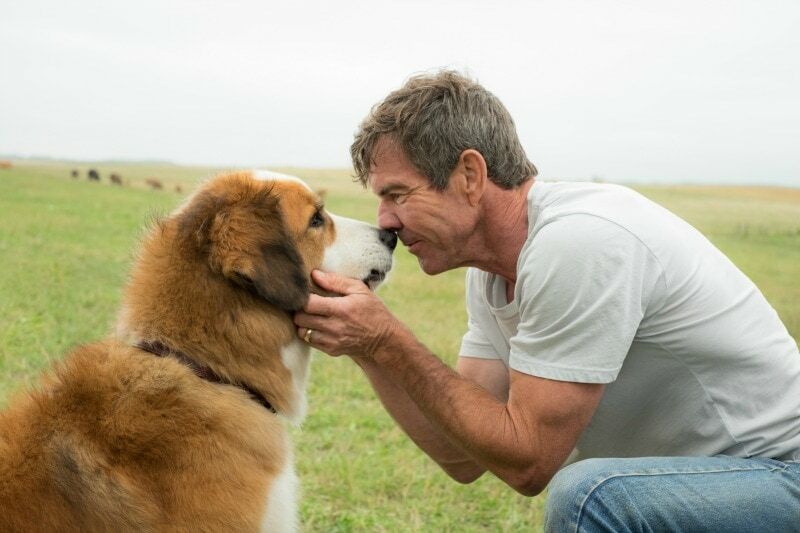 Our thoughts on the importance of picking a family dog is partnership with Universal Pictures’ new film A Dog’s Purpose. Of course, all of the experiences and opinions are mine! 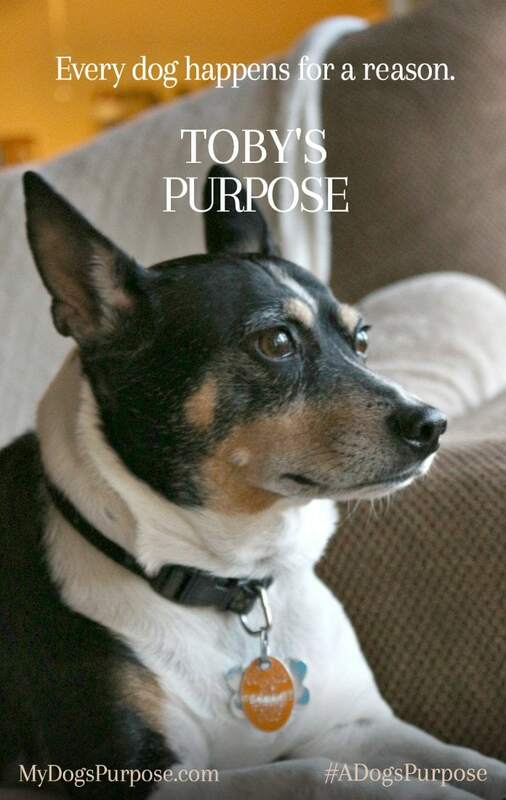 With A Dog’s Purpose hitting movie theaters soon, I have to admit that I’ve been feeling a bit nostalgic about Toby. We’ve shared a lot about pet life as being part of our family’s life here on the blog. I think there’s really something to choosing the right family dog. When I think about the importance of picking a family dog, the first thing that comes to mind is a decision on a breed. It seems to be what everyone focuses on when picking out a family dog. But when we went to get Toby, he wasn’t actually the dog we were looking for. I’d been in contact with the rescue to come look at a Boston Terrier. I had experience with Boston Terriers and my sweet Murray had been a great fit. For me, choosing the right family dog meant going with another Boston Terrier. It turned out that the dog Justin and I were interested in got adopted before we got a chance to meet him. Grambo and I still decided to make a visit to the rescue adoption event. As we walked through looking at the dogs, we stopped at a few but then we turned the corner and picking a family dog became easy. I just knew. A gut feeling perhaps. Toby looked at us and I knew. Grambo held him and it was done. He went home with us that day. 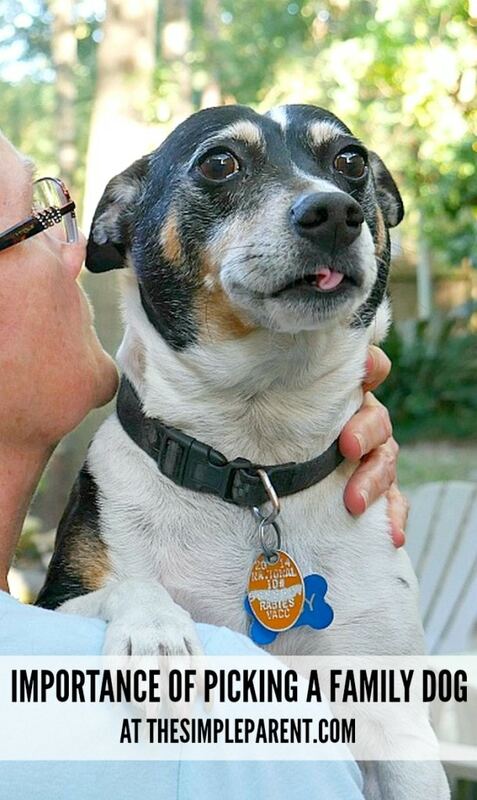 He has been a wonderful family dog for the past eight years. Now, I’m not saying you shouldn’t do your research when it comes to picking a family dog. 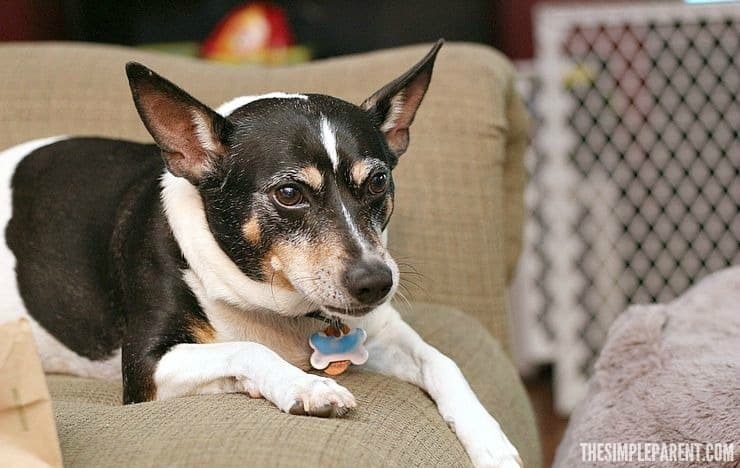 Toby is a rat terrier and had I done my research, he’s not a breed I would have been drawn to choose. So definitely do your breed research. What size dog works best for your household? What kind of gut feeling do you get when spending time with potential dogs? Yes, I will admit that I put a lot of faith into the gut feeling when choosing the right family dog. Once you’ve done your research, follow your heart and I think you’ll find the right dog. And choosing the right family dog can mean years of amazing memories together because every dog happens for a reason! If you haven’t seen a commercial or trailer for A Dog’s Purpose, it’s a must for anyone picking a family dog! It’s based on a bestselling novel and shares the soulful and surprising story of one devoted dog who finds the meaning of his own existence through the lives of the humans he teaches to laugh and love. It speaks to the exact reason we own dogs as part of our family. If you haven’t seen the trailer, check it out now! Save the date to see A Dog’s Purpose with your family when it hits theaters this Friday! While for Friday, you can have fun like we did and create your own My Dog’s Purpose poster. Check out ours! Visit the My Dog’s Purpose Generator to make your own! Recreate the #ADogsPurpose movie poster using your dog & share using #MyDogsPurpose. Your furry friend could even be featured in the film’s campaign!